It's That Time of Year: The Start of the io9 Halloween Costume Show Is Here! 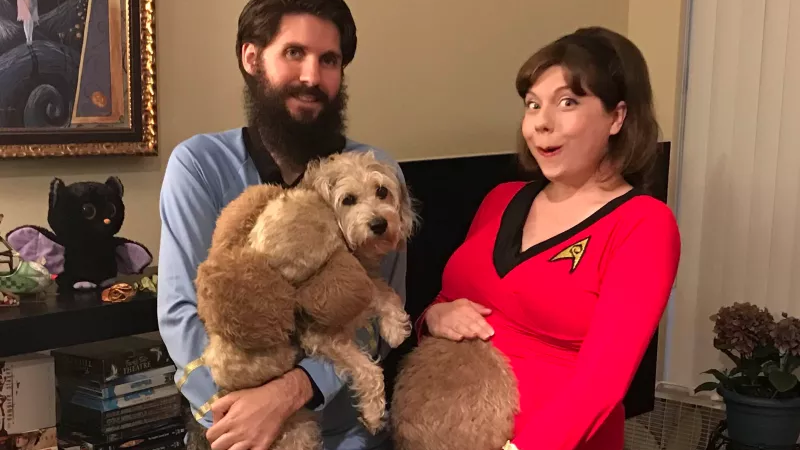 Image: Kinja User AmandaGeisel’s wonderful Tribble-themed Star Trek cosplay from our last Halloween Costume Show. TRIBBLE DOG!!! Boils and Ghouls, the spooky season is upon us once again, and that can only mean one thing: you’ve already started preparing your fabulous costume for Halloween. That means we want to see it! Yes, the io9 Halloween Costume Show is back, and we’d love to get a look at what you’re working on. As in previous years, we’re kicking off the festivities a few weeks early to give you time to prepare—so whether you’re still working on crafting your costume, or you’ve already got one sorted for parties before the big day, we want to see your pictures, whether it’s the final thing or a work in progress. Not started at all yet? We’ll be running a week-two check-in next Tuesday, October 24, and then a final gallery on the big day itself, Tuesday October 31, so you’ve still got time to share your costume with us. The best of the very best costumes will be lavished with praise and featured right here on io9! If you need some inspiration to get started, be sure to check out the links below to last year’s Costume Show, which featured both sublime costumes and very good doggies. What more could you possibly want? So get sharing in the comments section! And don’t forget, as always: please post pictures of yourself (and only yourself), and tell us who you are, what you’re dressed as, and a little bit about how you put your costume together. Get Some Inspiration from io9's Halloween Costume Show 2k16! io9 Halloween Costume Show: The Big Day Is Here!